Jackie Estacado, the protagonist in The Darkness II, has a lot of nasty tricks for dealing with enemies. Producer Seth Olshfski explains. The Darkness II, which is based on the gruesome comics produced by Top Cow Productions, drags Jackie Estacado into another nightmarish adventure alongside his malevolent cohort, The Darkness. This first-person shooter mixes its gunplay with a host of demonic powers. After catching up with publisher 2K Games' Sheldon Carter back at PAX, we tracked down producer Seth Olshfski to learn more about Jackie's tools of destruction. Check out the powers of quad-wielding in this GameSpot exclusive trailer for The Darkness II. GameSpot: Quad-wielding is certainly one of the most interesting parts of The Darkness II. Besides scooping up enemies and ripping off car doors, what other ways can we interact with our environment using the demon arms? What are the limits of what we can lift with demonic lift? Seth Olshfski: Demonic lift is a talent that uses the power of The Darkness to keep enemies floating in the air when you slash upward. To use it, you need to purchase the talent and slash your enemies in an upward direction. Before you purchase demonic lift, enemies will fly up in the air and then fall back down; with demonic lift, enemies will fly up in the air where they will be suspended helplessly by the power of The Darkness for a short while before falling back to the ground. It works great in conjunction with ground pound, which obliterates airborne enemies when you slash in a downward direction. Slash a guy up into the air and then down into the ground, and you see an explosion of entrails. I also like using demonic lift for some surgical dismemberment--lifting enemies up in the air and then ripping off a leg with the slashing demon arm or simply cutting them in half. I'm not sure why, but it's really satisfying to dismember an enemy that's helplessly floating in the air. There's just a feeling of being powerful and awesome, looking at that poor Brotherhood soldier floating helplessly in the air waiting to die. GS: Will we be able to use ground pound to knock around cars or otherwise deform the environment? SO: Enemies not only explode when you slash with the ground pound, but there's also a residual effect on the stuff nearby the explosion. So if you ground pound a Brotherhood rookie in the middle of a crowd, not only will you send his insides flying, but you'll also send any nearby objects or other enemies airborne. GS: From a narrative standpoint, is The Darkling always the same character or are there multiple darklings that take turns helping Jackie? From what we've seen, The Darkling also has a real twisted sense of humor. Is that taken straight from the comics or has your team injected some of its own material into the character? SO: That's definitely true; The Darkling has a great twisted sense of humor. He's Jackie's sidekick and has a huge role in the story. And, yes, Jackie has decided to manifest just one darkling this time around. We made that choice to focus the narrative on Jackie, but we obviously drew inspiration from a variety of sources, including the comics, to create his personality and being. The Darkness II takes pick-pocketing to a whole new extreme. GS: In what ways can The Darkling assist you in combat? Will it be able to extinguish lights for you, for instance? SO: The Darkling will disable enemies though a variety of combat mechanics; for instance jumping on their back and on their head. He'll pull guys out from behind cover so you can get a better shot. He picks up guns and ammo from the ground and brings them to you. As an added bonus, you can pick him up with your demon arm and throw him. He explodes on impact. He doesn't like that very much though. GS: We've heard that there will be otherworldly locations to visit in The Darkness II. Care to give us any hints as to where those locations might be? SO: Hints!? You want hints? Here's all you're getting: They're not in NYC. GS: What is the top fan-requested piece of content for The Darkness II, be it a character from the comics or a specific Darkness power? SO: There are probably two things tied for number one. The first is Mike Patton; everybody loved his voice for The Darkness from the original game. He just sounds like The Darkness should in a game of this caliber. He's part human, part beast. When he gets in the recording studio, it's really amazing. We're really glad to have him back, and the fans really appreciate it. Tied with Patton would be requests for appearances by other characters from the Top Cow universe. GS: In the first game, the theme of the narrative was revenge, with Jackie seeking revenge for Jenny's death. From what we've seen of The Darkness II, it looks like the theme will be survival, with Jackie being hunted by The Brotherhood. Is this accurate and will the story focus primarily on this conflict? SO: Survival. That's a pretty good way to frame it. I think it's definitely true for the beginning of the narrative. We have a three-act structure for the game, and act one could definitely be called survival. From Jackie's perspective, somebody drove a van into your dinner; they sniped that stripper right in front of you; random dudes in orange jumpsuits are gunning for you; and some crippled dude keeps teleporting around and demanding The Darkness. Jackie definitely starts the story fighting for his life. Act two, however, takes the story in a more proactive direction. Something (that I can't talk about now) is revealed to Jackie and he gets really [mad]. That's when he takes the fight to the enemy. GS: Finally, is there anything else you'd like to add about the game? Between the guns, the Darkness powers, and your foul-mouthed friend, you have a lot of options in combat. SO: I can't wait for everybody to start quad-wielding. I play a lot of games, and every time I play another first-person game, I miss my demon arms. They're just really fun to use, and I think the moment-to-moment gameplay of The Darkness II will leave the fans ecstatic. GS: Thank you for your time. If I had Rocksmith when I was a kid, I would be a lot better off now. In 1995, I begged my parents to buy me a guitar. As you can imagine, I was swept up in the grunge fever that permeated a lot of the '90s. My idol, Kurt Cobain, died a year before and being the 12-year-old I was, I had it all figured out: I was going to be a rock star. My parents bought me a used Ibanez acoustic, with the promise of an electric guitar if I stayed at it. I did and, 16 years later, at an event for Ubisoft's Rocksmith, I discovered that my parents and I had wasted money on guitar instruction over the years. 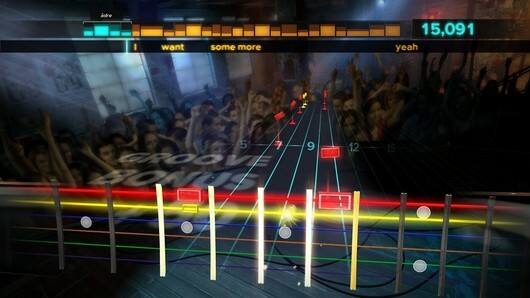 Rocksmith: Schooled by rock originally appeared on Joystiq on Fri, 30 Sep 2011 18:00:00 EST. Please see our terms for use of feeds. The latest Sonic Generations trailer is targeted at a specific kind of nostalgia: for the era in which you were running past killer whales in sunny skies -- when you were flying around at the speed of sound, and following your rainbow. 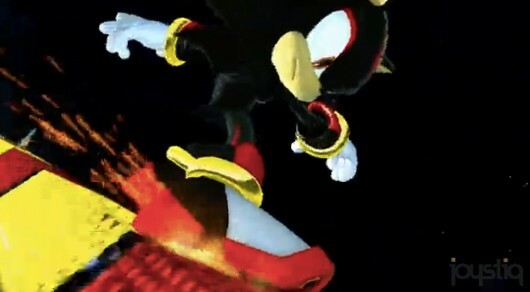 And, in keeping with the Dreamcast-era theme of the trailer, our old pal Shadow the Hedgehog makes a dramatic entrance at the end of the thing, with no hint of the cars or guns of his later solo outing. He's in the game as a "rival," so he won't be playable. Sonic Generations trailer introduces the Dreamcast generation originally appeared on Joystiq on Fri, 30 Sep 2011 16:30:00 EST. Please see our terms for use of feeds. The Metal Gear Solid HD Collection adds much fancier in-game visuals to what were once PS2 and PSP games. And now Konami is adding some cosmetic enhancements to the packaging, as well, at least for those willing to splash out a little more. The HD Collection will be available in a Limited Edition, with new box art by series artist Yoji Shinkawa and an exclusive art book. No pricing details have been announced -- but, then, no pricing details for the standard retail or downloadable versions have been announced either. So whatever the standard one costs, this one will cost a little more than that. 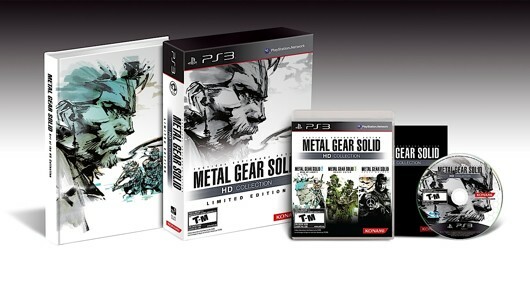 Collect the Metal Gear Solid HD Collection Limited Edition originally appeared on Joystiq on Fri, 30 Sep 2011 15:40:00 EST. Please see our terms for use of feeds. Video games have a rich history of vaguely emulating sports while being subject to the limitations of the systems we play them on. Sports gamers are accustomed to repetitive animations, unnatural movement, and broken mechanics, all ripe for players to take competitive advantage of. Somewhere along the lines, we lost the authenticity of sports in our video games. FIFA 12 does a magnificent job of depicting the sport of soccer in video game form, with all of its beautiful and natural imperfections. 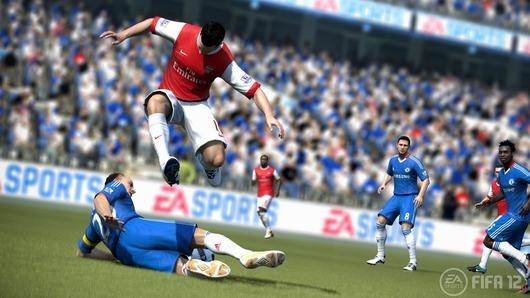 FIFA Soccer 12 review: Impactful originally appeared on Joystiq on Fri, 30 Sep 2011 15:20:00 EST. Please see our terms for use of feeds. So much for "mid-September," eh? Valve has announced that the first DLC for Portal 2, which is called "Peer Review," will be available for free download on PC, PS3, and Xbox 360 on October 4. 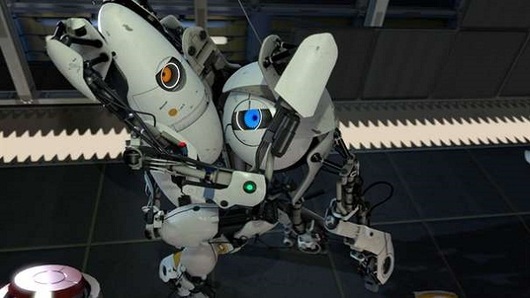 "Peer Review" continues the cooperative exploits of Atlas and P-Body, the two beloved robot protagonists in Portal 2's co-op campaign. GLaDOS will also be featured as the two tackle a new co-op test track. However, the DLC will also include a Challenge mode for both co-op and single-player with full leaderboard support. To help ease the pain of waiting for free stuff, Valve's offering, uh, free stuff! You can download the third and final group of tracks from Portal 2's soundtrack, Music to Test By, right now by heading on over to Valve's site here. Free Portal 2 'Peer Review' DLC drops on October 4 originally appeared on Joystiq on Fri, 30 Sep 2011 14:51:00 EST. Please see our terms for use of feeds. The Nielsen firm has compiled a list of the top twenty most anticipated games this holiday season. The survey ranks games based on the percentage of players that ranked them in their top five choices for the holiday. Unsurprisingly, Call of Duty: Modern Warfare 3 was at the top of the list, with fully 27 percent of those surveyed placing it in their top five. Rounding out the top five, Gears of War 3 and Madden NFL 12 both pulled 19 percent, Assassin's Creed Revelations made 17 percent and Batman: Arkham City reached 15 percent. The holiday's major Wii exclusive, The Legend of Zelda: Skyward Sword made the sixth slot with 14 percent. Battlefield 3, Modern Warfare 3's major competition, reached number seven at 12 percent. Also worth noting: Dead Island, at 7 percent, marks the only game on the entire list that isn't part of an established franchise. The survey also includes a fascinating peek into the psyche of various players, making note of the online conversations surrounding each title. For example, Modern Warfare 3 fans are looking forward to launch parties, and Skyward Sword devotees are hoping to rekindle that old Ocarina of Time feeling. Madden armchair quarterbacks, meanwhile, are planning to call in sick in order to squeeze in a few more touchdowns. 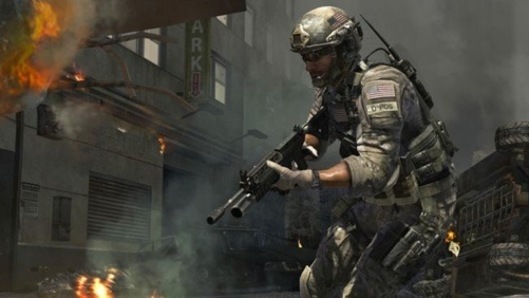 Nielsen taps most anticipated games, Modern Warfare 3 on top originally appeared on Joystiq on Fri, 30 Sep 2011 14:30:00 EST. Please see our terms for use of feeds. Back when the latest SSX was first introduced, players worried that this supposedly "grim, darker" take on the franchise would lose the goofy, colorful elements that made the series so popular. Most of those elements (the over-the-top tricks, the larger-than-life settings, and the extravagantly ramped and rail-equipped levels) have survived just fine according to what we've seen so far, but art director Geoff Coates does say that some of the fun had to go. "If you look at the character design [in previous versions]," he says, "it's characters that are wearing t-shirts and jeans, and dresses or whatever, and they're being thrown out on these mountains." So it's fair to say that we won't see jean shorts or bikinis on SSX's latest class. "The character design now is taking the characters, retaining their personality, but still giving them that survival aspect. You'll see they have backpacks, they have gear that's a little more appropriate." "And the wingsuits," Coates continues, "are part of that." Yes, the wingsuits. Oh my, the wingsuits. 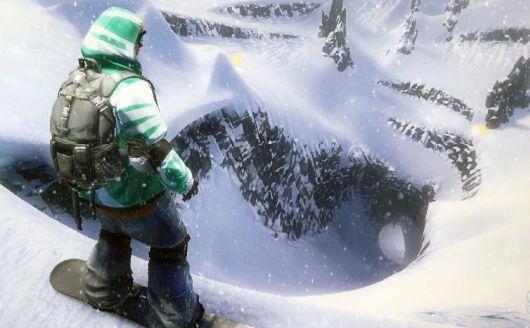 From the slopes to the air with SSX's wingsuits originally appeared on Joystiq on Fri, 30 Sep 2011 13:30:00 EST. Please see our terms for use of feeds. Longtime Guitar Hero, Tony Hawk, and now Skylanders developer Vicarious Visions has three new projects in the works, according to a report from GameSpot. Reportedly, an associate producer's LinkedIn page specifies something codenamed "Project Nova" for Xbox 360, PS3, and Wii U, the PS3/Xbox 360 "Project Atlantis," and "Project Phoenix," for Xbox 360, PS3, and regular-style Wii. Of course, no other information was given about these projects -- except that they prove that VV owner Activision is already integrating Wii U into its multiplatform development. Not only would "Project Phoenix" be the first Wii U game from VV, by the way, these would also be the second, third, and fourth PS3/Xbox 360 games from the studio. It's only made Marvel Ultimate Alliance 2 for those platforms. Vicarious Visions has three unannounced projects, including one for Wii U originally appeared on Joystiq on Fri, 30 Sep 2011 13:02:00 EST. Please see our terms for use of feeds.